McDonald’s New Big Blast Desserts are here to delight us with double the goodness of our old-time favorites. This is definitely bigger! There are five (5) variants to choose from. Enjoy the two layers of sweet goodness with the Double Hot Fudge Sundae or Double Hot Caramel Sundae. If you can’t decide between the two, then the Hot Fudge Hot Caramel Sundae Duo is for you – both your favorites all in one cup. 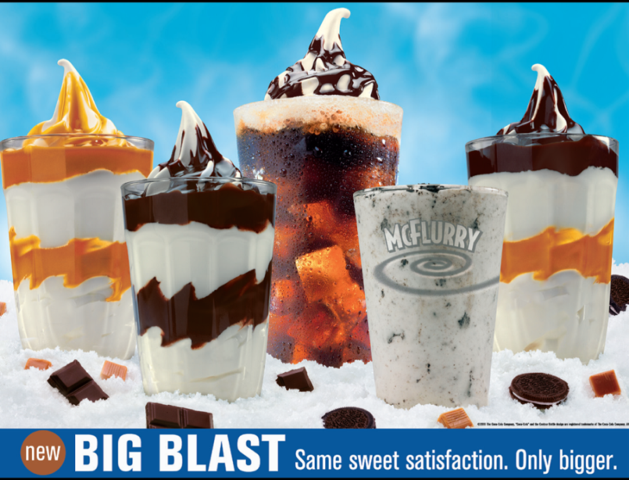 Completing the Big Blast Dessert line-up are the Oreo Overload McFlurry and the Monster Coke McFloat.